They say that with your second (and other subsequent babies) pregnancy flies by because you are so busy taking care of another amazing little one. As someone who 1. has found that statement to be true and 2. LOVES being pregnant, I found myself thinking a lot about ways to be intentional about soaking up this special season of life in our family (and for me and this baby personally) so the time with this little one wouldn’t get away from me. I am not one of those people who just do life , in and out. I am not one of those people who is okay with just letting life slip by day by day. I want each day to count. I want each moment to be filled with intention and purpose for me and my family. This is not a mindset that comes naturally, this is something that I have to work at. It is something that I have to be intentional about and make a priority, or my days will get away from me. When we were pregnant with Annabelle one of the ways I decided to be intentional about savoring that special time was by blogging and journaling a lot. I am definitely a journaler and a verbal processor (bless Matt for always lending his listening ears to help me sort through things). I have pretty much had a journal since I can remember. Even before I could write, I would draw little pictures and doodles of how I was feeling or what my dreams and goals were about. In 2015 at that period of time in my life, while I was pregnant with Annabelle, I had 3 journals going. I had my good ole’ faithful prayer journal, my special pregnancy journal that I bought just to record special details about Annabelle’s pregnancy and I had a special devotional book that was geared towards pregnancy and trusting God with your babies life and birth that I also journaled in. It was, and still is, very therapeutic for me to just get my thoughts out in a safe space lol and now I frequently love looking back and reading through those books from that time in my life. It shows me time and time again of how faithful God was to me through every step of our pregnancy with Annabelle, and that type of reminiscing and remembering is very faith and trust building for me in my personal relationship with God. It reminds me just how BIG He is, and just how MUCH He cares for me and my family. That there is no need, worry, concern or thought that is too small to bring to Him, and that He actually wants to hear me tell Him my deepest fears and to trust Him with them. So fast forward almost 2 years later to 2017 and what is one of the first ways I thought to personally be intentional, savor and record this time with this sweet baby… if you guessed journaling and blogging then you would be right! lol This pregnancy has already been so beautiful and so different in it’s own way from when I was pregnant the first time with Annabelle that I don’t want to miss a beat about it. I don’t want to miss one second of this incredible journey that I get the privilege to go on with God as He uses me to create a literal miracle, another human life made in His image! 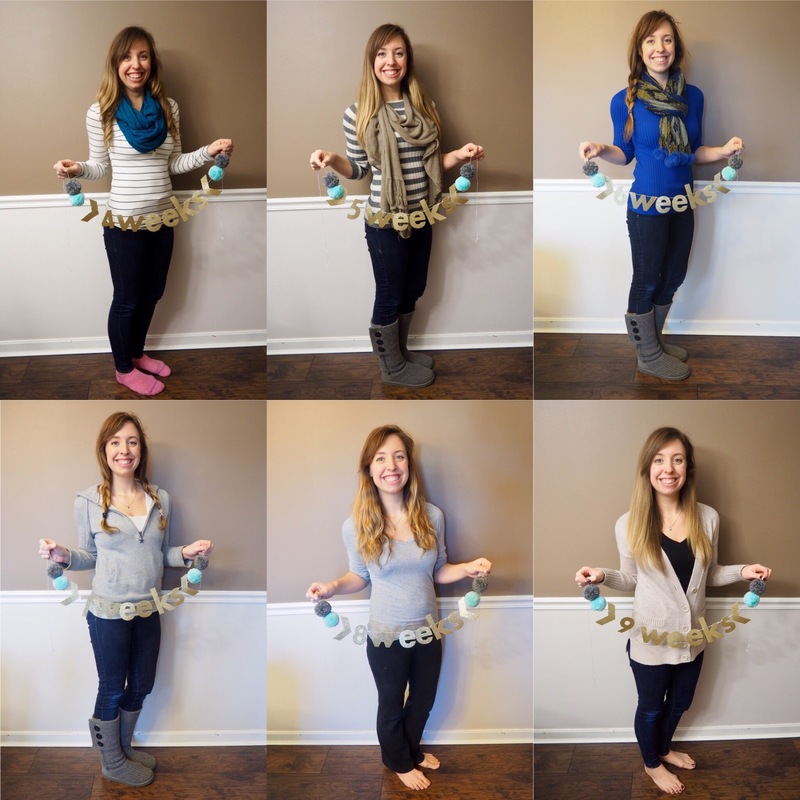 Weeks 10-13! Houston we have a bump! Highlights – So many fun things happened during these past couple months starting with getting to tell Matt that we were expecting. Planning special surprises for him is already one of my favorite past times, but planning how to tell him we are going to have a baby is on a whole other level of fun! I just love it! I love finding out myself, and then putting it together as fast as possible so I can tell him as quickly as possible before my excitement spills the beans for me lol And I absolutely LOVE seeing his reaction to the big news! That is definitely hands down THE best part! More on that at a later date though. I can’t share all the fun stories we have in one post! lol Then there was getting to share the news with Annabelle! Although I’m not sure just how much she really understood because she was only 11 months old at the time she did have some pretty interesting and timely responses to her daddy and I telling her she was going to be a big sister which we both got quite the kick out of lol. And then there was of course getting to share the news with the rest of our family and friends! That was fun in it’s own way since it was right around the holidays and Annabelle’s first birthday party! Of course we got a different pregnancy devotional and pregnancy journal to record all the in’s and out’s of this babies pregnancy and how God is preparing my heart this time around to be a mother to this child and that was really exciting for me! I felt like a kid on the first day of school getting to pick out new school supplies, nerdy and excited lol I can’t wait to look back a year from now with this little baby in my lap and read to them (like I do with Annabelle now) about the special story of their pregnancy and birth that is unfolding right now in the present. Well that is pretty much all we have for now! 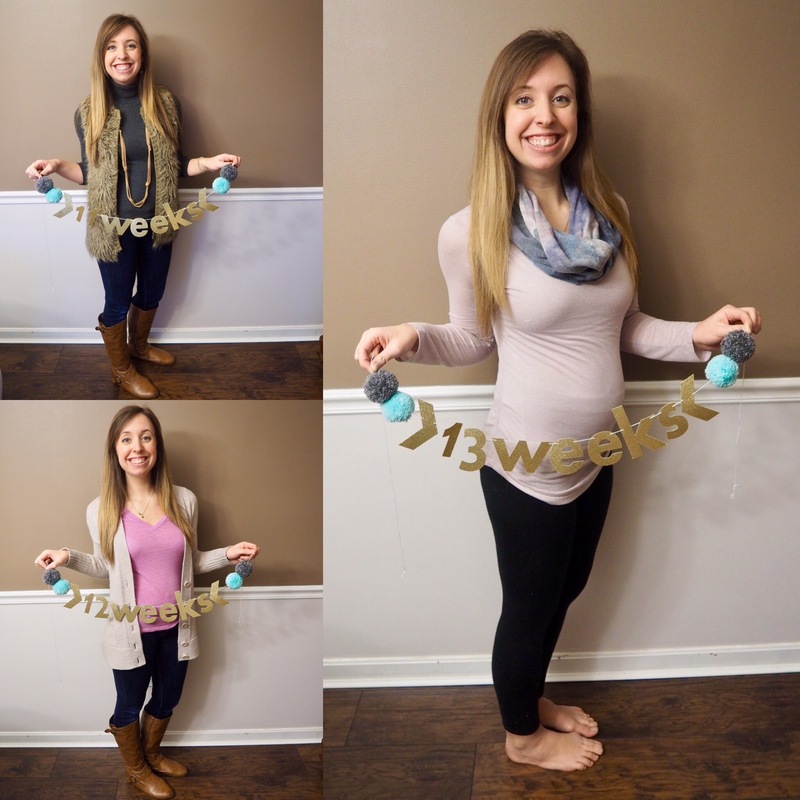 Until Next Trimester friends! !